All RYNO products are assembled using the finest quality fabrics and trim materials. 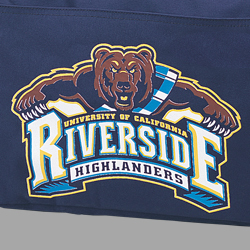 Decorate your bag with vivid screen-print colors or vibrant embroidery. Screen-printing: Brilliant plastisol inks are used, resulting in crisp, defined prints. Embroidery: Radiant polyester thread is used to maximize the vibrancy of your design. 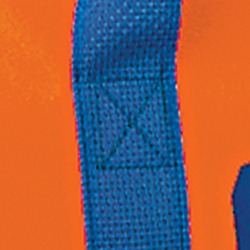 A box-tack (X-Stitch) is applied at key stress points providing maximum reinforcement. This value-added feature will ensure that seams remain strong through years of use. 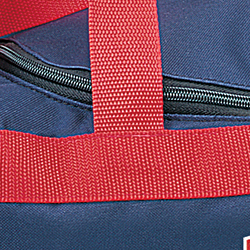 Ultra-strong heavy weight, durable polypropylene webbing is used for the handles and shoulder straps of our bags; providing extra strength and support. Only premium, self repairing zippers are used in constructions. 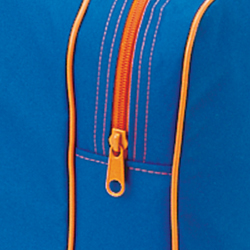 Color coordinating zipper pull-tabs are used to give a desired uniform appearance to our products. 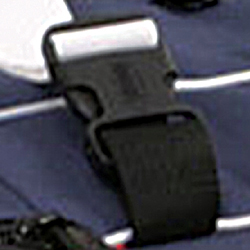 Buckles, hooks and other premium hardware are all made from heavy duty, molded plastics. On select models, durable metal hooks are also used.